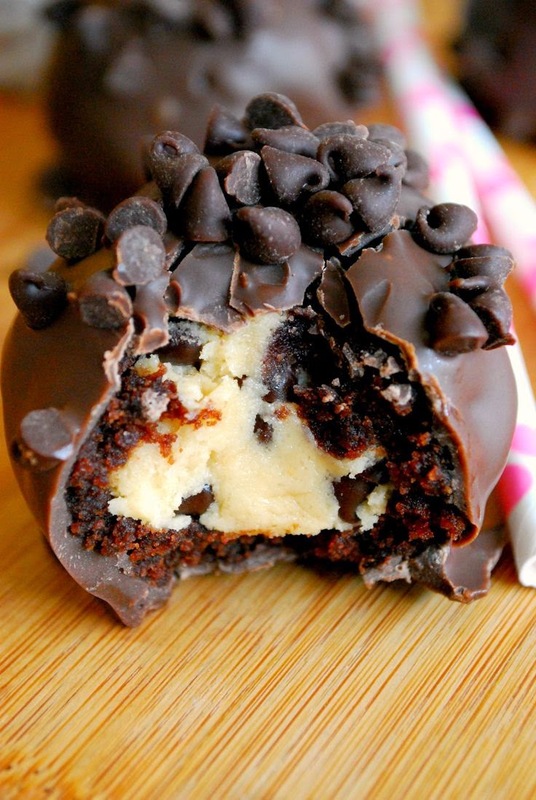 If you love raw cookie dough, which I do, and chocolate (who doesn�t? ), then this recipe is for you. These lil nuggets have a lot going on, but it all works well together and the flavors don't overpower each other. The cookie dough remains soft and gooey, while the chewy brownie provides the perfect blanket of rich chocolate. All aside, these would be easy, tasty treats for parties or holidays. Feel free to yell "BANZAI!" like my friends do just before popping them in your mouth! "Hands down incredible, its the best candy or cookie Ive ever ate. Really hits the mark for my sugar cravings. Took to a picnic and there was none left to bring back, they were that good. Def a favorite."